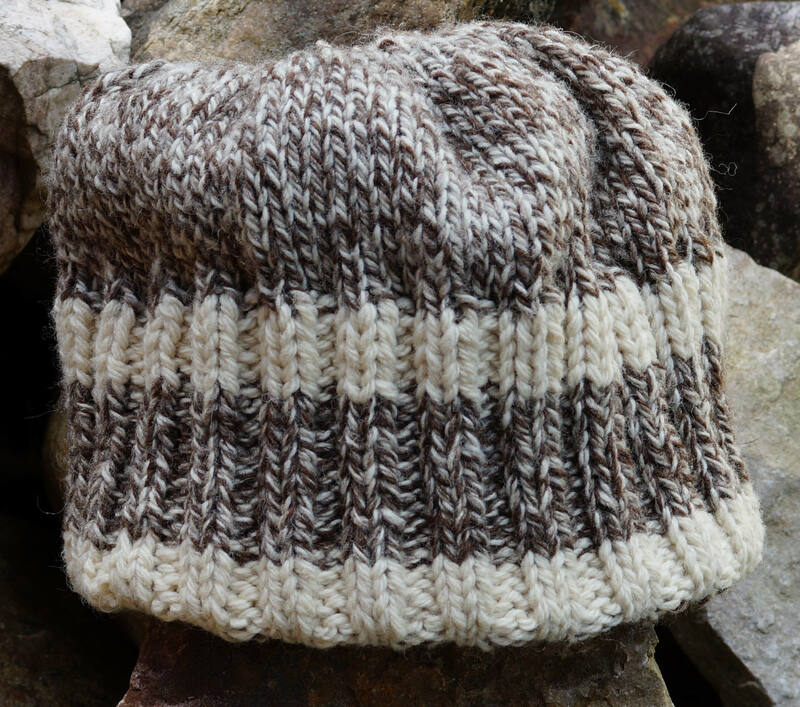 Easy reversible knit hat pattern. Sized for adult medium. 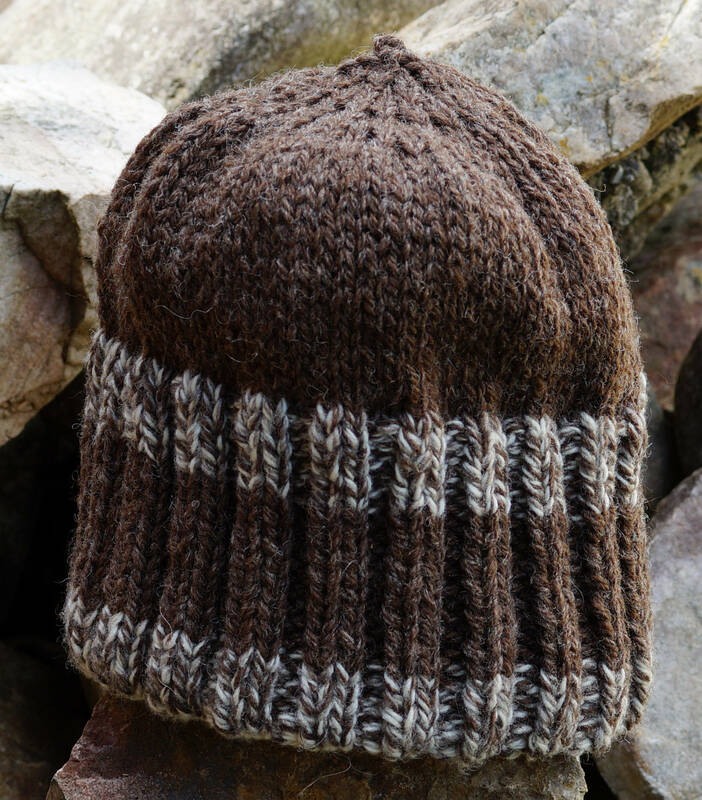 Uses worsted weight yarn, circular and DP needles. Start with first hat then continue to make the second. Center section of hat uses yarn doubled which makes it nice and heavy.